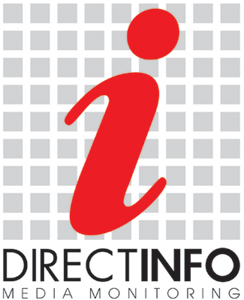 DIRECT-INFO aims to create a basic system for semi-automatic extraction of consistent and meaningful semantic information from multimedia content. We offer an integrated system combining the output of basic media analysis modules to semantically meaningful trend analysis results which shall give executive managers and policy makers a solid basis for their strategic decisions. The DIRECT-INFO system shall significantly ease necessary information filtering and analysis steps that are important in decision making processes. DIRECT-INFO will address concrete usage scenarios that are common to virtually all advertising and media monitoring industries such as company image analysis and introduction of new product / competitor analysis, while it will be designed in such a way as to cover further scenarios in additional sectors such as government, policy / PR analysis and decision making, financial (decision making, trend analysis) and other corporate and media scenarios. The result of the project will be a flexible system ? flexible in terms of: easy to re-configure according to user needs - comprising several components that implement the needed functionality for analysing of multimedia data taking advantage of combining complementary analysis results of different content to semantic meaningful entities.